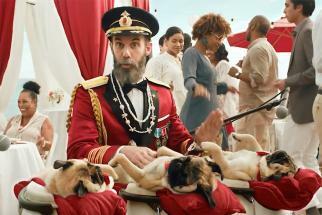 Captain Obvious, the Hotels.com mascot who's kind of like a walking, talking dad joke, will be joining the 2016 presidential race -- by running across the entire country. The proud master of the strikingly clear believes he is fit to win the race. Why? "I've seen the other candidates," he says in a new ad via CP&B. "They don't seem very fit at all." 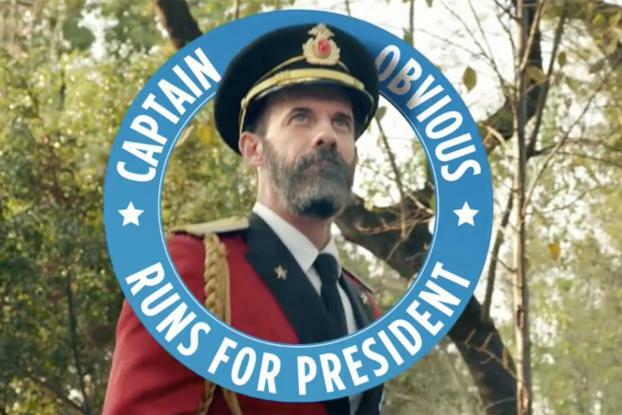 He makes his "official" announcement in a national TV spot broadcast tonight, and then viewers will be able to follow his campaign over the coming months at CaptainObviousRunsForPresident.com and through social media via @CaptainObvious and #ObviousPresident. All the while, he'll be promoting Hotels.com, of course, because it's "simple and easy" and he will need a place to sleep at night on the "running" trail. 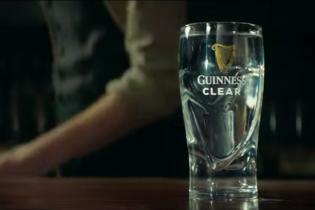 So what's the campaign tie-in here? According to the agency, Hotels.com estimates that presidential candidates can spend more than $405,000 on hotel lodging during the 2016 primaries and caucuses, but if they were Hotels.com rewards members, they could save more than $40,000. Rewards members get a free night for every ten nights they book through the site. 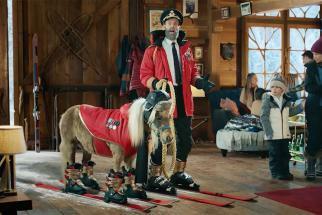 Hotels.com is the latest marketer to jump on the campaign trail. Captain Obvious faces competition, for example, from "House of Cards" frontman Frank Underwood. JetBlue also just debuted an election-themed stunt that shows how difficult candidates can be compared to its own passengers.